If you want to be the #1 agent at Lyon, all you have to do is spend a couple of months in Hawaii. That’s my message for today. Because that’s the only way I can figure out how to explain the surprise announcement yesterday from Lyon Real Estate. I am not making this up. Yup, Elizabeth Weintraub was named #1 agent at Lyon for January, 2018. It was a big shock to me. January was a slow month. Just like December. Seasonal sales typically slow a bit in December and January, which is why I go to Hawaii to work from our vacation house. Further, leaving Sacramento when it gets cold makes sense. The thought occurred to me that I could work from Sacramento and watch the trees lose their leaves. Alternately, I could go to Hawaii and eye sailboats on the horizon. Bonanza idea! Let warm breezes wash over me every morning when I park myself on the lanai to work from my laptop. Well, you know which I picked. It wasn’t easy, either, for the #1 agent at Lyon for January. Hey, I had to cook for myself, shop for myself and figure out how to work the TV. Did my own laundry. Washed my own car. Figured out how to buy a Paddleboard, a touring Lahui Kai, which I loaded on top of my car, removed by myself and hauled to the beach. Oh, and I shipped said new vehicle and picked up the Subaru at Kawaihae Harbor. Big accomplishments. Wow, those two months were busy. I also made 2 trips to Oahu from Big Island in January. Celebrated New Year’s Eve with Hella Rothwell, dinner, show and dancing. 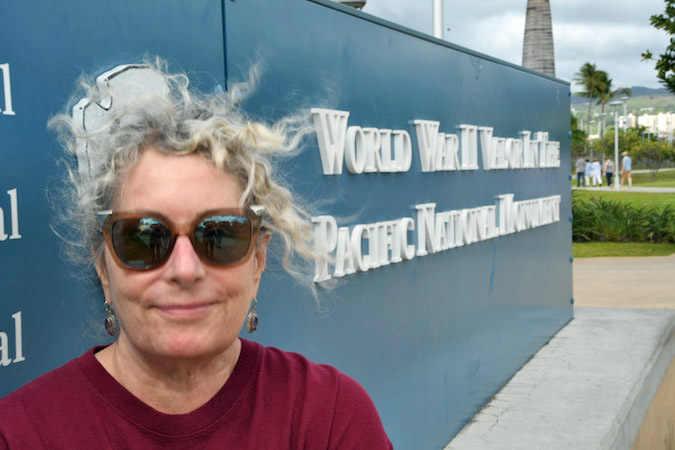 Then, went back with my husband when he came out in January to visit Pearl Harbor. Learned how to cook on gas grill, a new thing for me. Murdered many geckos. Killed a cockroach. Fixed our sprinklers. Harvested red ginger. Eradicated termites. Along the way, I closed 5 listings in January. I also listed 6 more and put 5 of those into escrow. Out of my 5 listings that closed, only one was a dream sale, no hassles nor challenges. Two of those listings I sold 3 times due to crazy buyers who could not commit. Another was a nightmare of epic proportions dealing with unreasonable idiots. But all idiots are pretty much unreasonable. I don’t like to play hardball but will when circumstances warrant. So, see, if you want to be the #1 Agent at Lyon, all you have to do is spend a couple of months in Hawaii. That’s my story and I’m sticking to it.